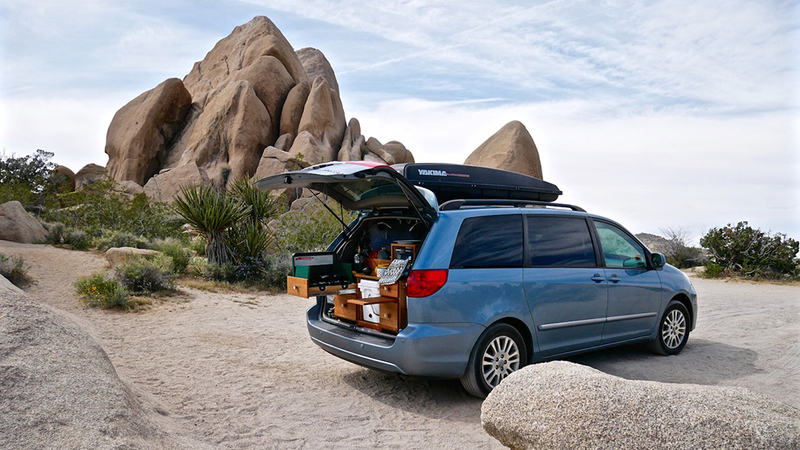 With some ingenuity and little cash, the average minivan can be transformed into a comfortable camper van complete with a tiny kitchen. The humble, soccer team toting minivan has a secret. 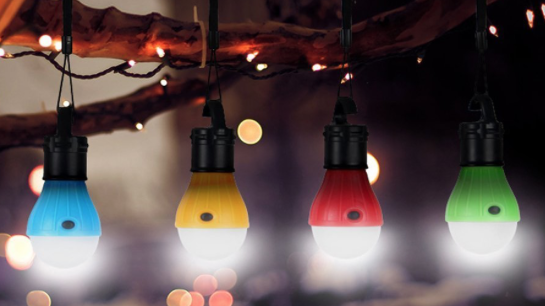 It can make for an unassuming, fuel-economic camper van with very little time and effort. 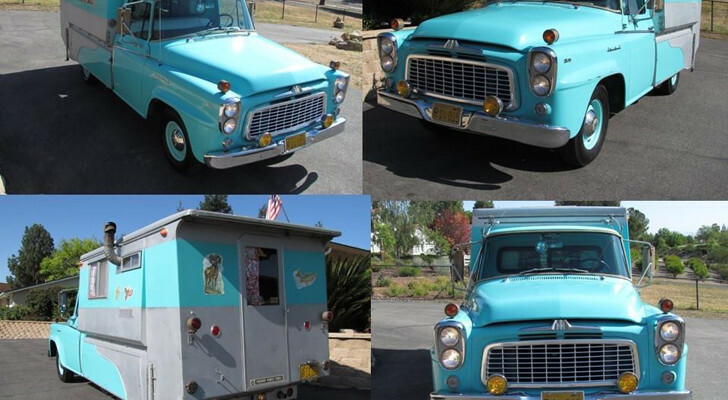 Of course, if you want this type of van conversion with a little more comfort and amenities (like some of the examples below) the sky’s the limit with these versatile vehicles. 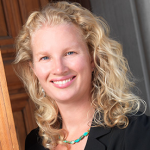 Why choose a minivan for a camper conversion? 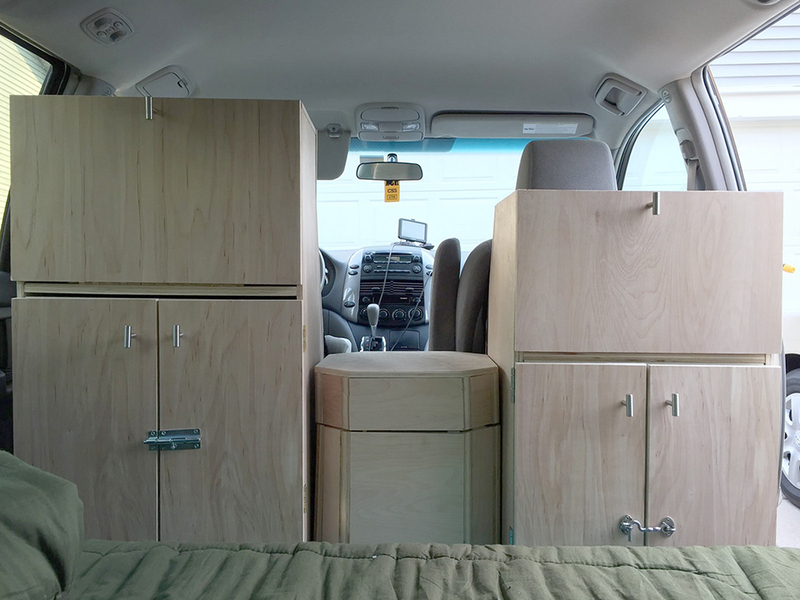 Unlike SUVs or car conversions, there is a little more livable space in a minivan. Typical minivans like the Toyota Sienna, Honda Odyssey, and Kia Sedona are built to fit seven to eight passengers. These types of vans also come with removable and swivel seats that offer a variety of layouts. Minivans like the Chrysler Town & Country have handy Stow-N-Go seating that allows seats to fold and tuck into the body of the vehicle so the seats don’t have to be removed and stowed in a garage. Most late model minivans also have some cool interior features such as passenger storage compartments, a variety of cup holders, and fold-down flat-screen TVs. Best of all, the average minivan gas mileage ranges from 22 to 28 mpg for highway speeds and some can be purchased for much less than a typical cargo van. 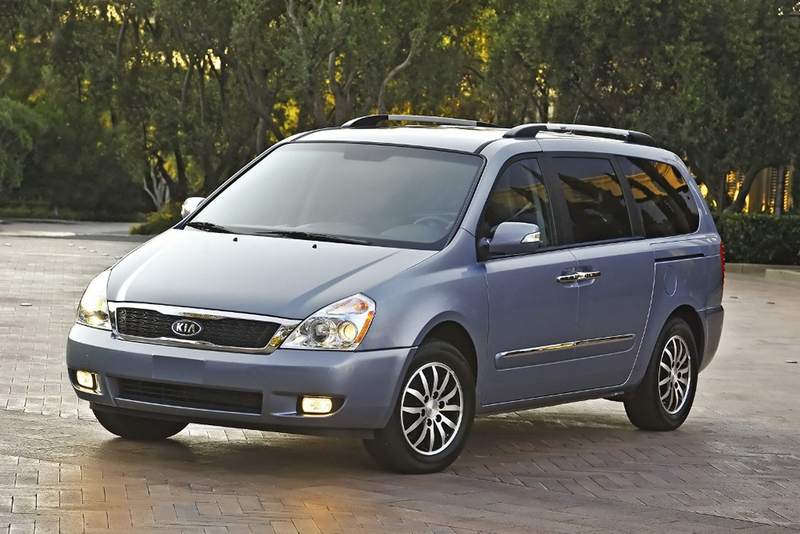 Minivans like the Kia Sedona can get 25 mpg on the highway, 18 in the city. 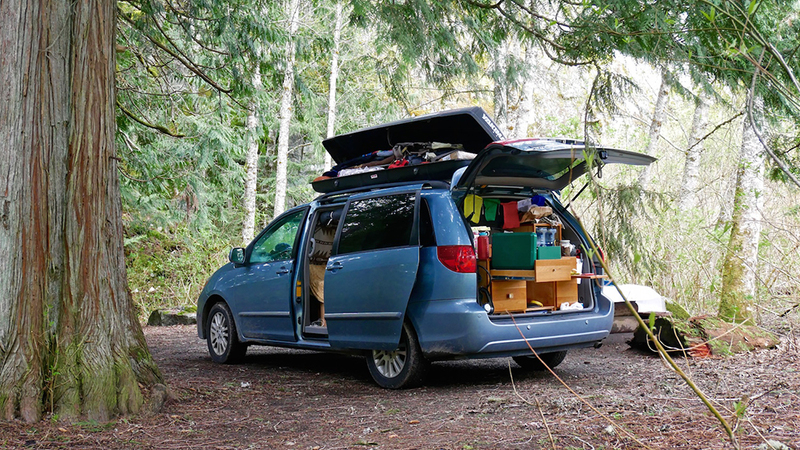 The type of minivan camper you want will depend on your budget, vehicle options, and how much work you want to put into the conversion. Here are a few great ideas from some of the best minivan designs on the road. 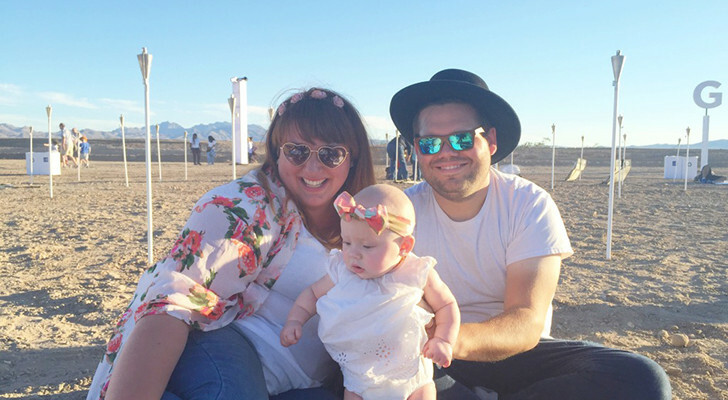 Michelle and Gabor of Mini Yet Mighty prove that van living and camping doesn’t have to be pricey. 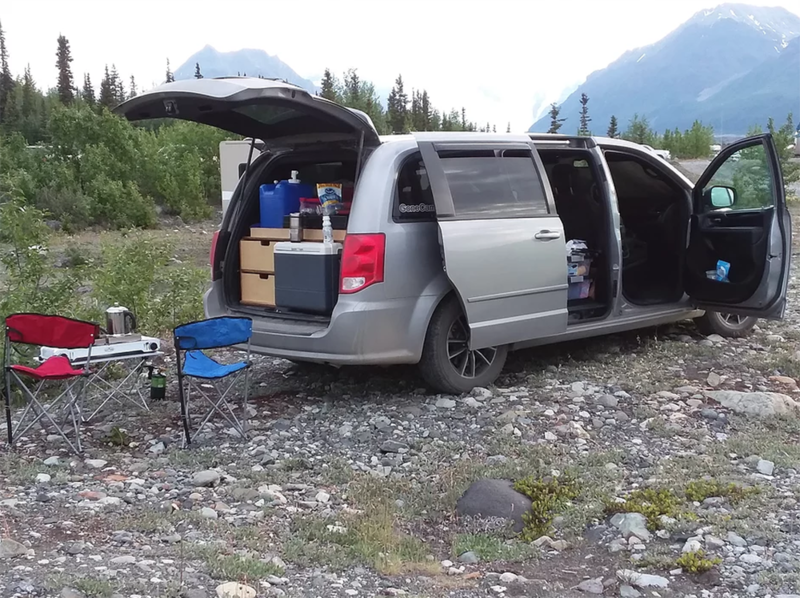 This couple converted an AWD Toyota Sienna (named Moose) into a stylish little camper with a fantastic kitchen protected by the rear hatch. The interior of the van is a seating area with a table during the day and a full bed at night. The windows are covered with insulated curtains and accented with fairy lights. The rear kitchen (complete with colorful prayer flags) was custom built with the help of Michelle’s father. 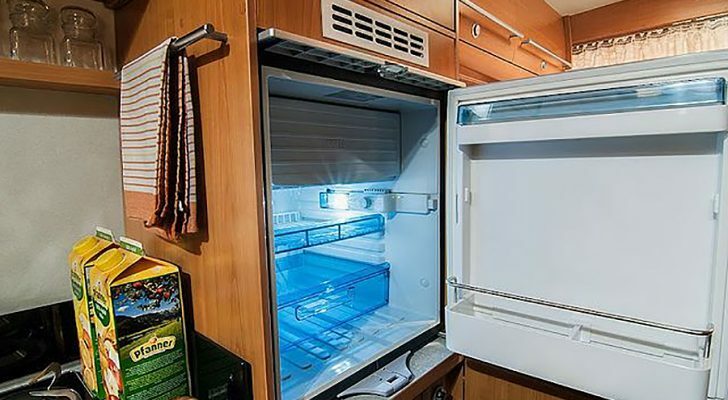 It includes wood cabinetry with removable drawers and a cutting board, water containers, an RTIC cooler, propane stove, and a spice rack. 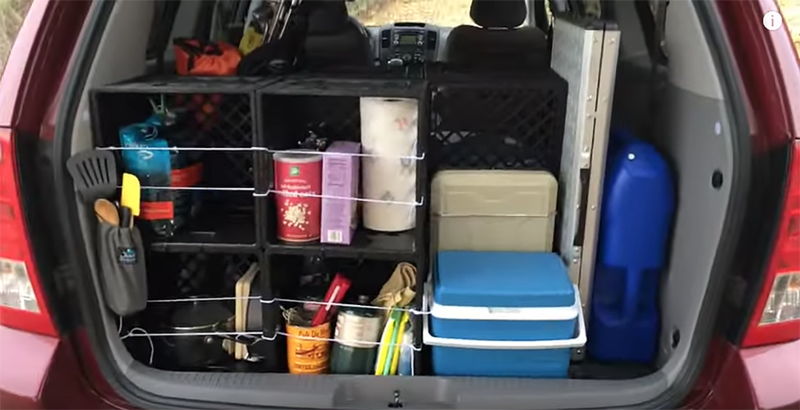 A Yakima storage rack on the roof stores sports and adventure gear. Kelly and Camille of My Mini Camper Van have done something a little different with their Toyota Sienna minivan conversion. While many conversions either have the kitchen/storage area in the rear or along the side of the vehicle, My Mini Camper Van’s work and prep area are behind the driver and front passenger seat. This is for a very important reason. The cabinet behind the passenger seat is attached to the seat and can be moved forward or back using the seat’s original adjustable rails. 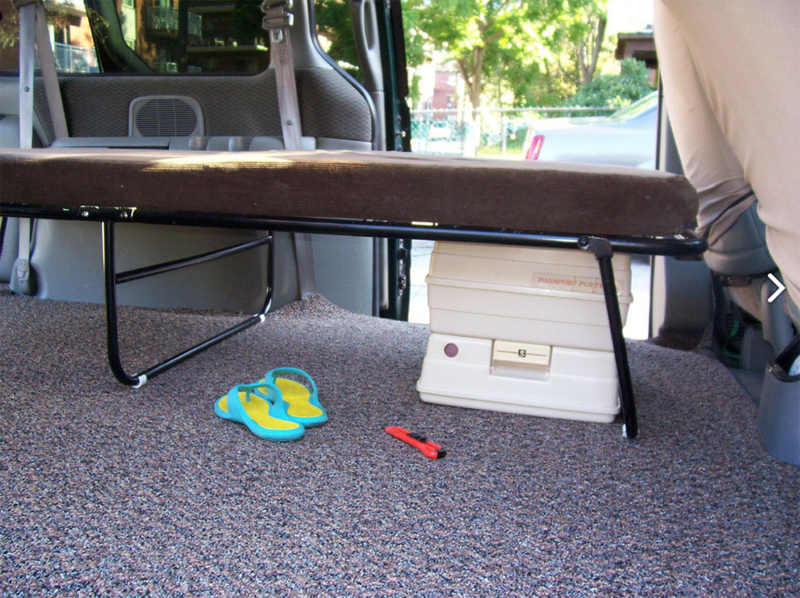 This allows for extra room inside the minivan for the double convertible bed. The cabinet area also includes room for a portable potty and some laptop space. The bed hides an enormous storage area for bedding or clothes. 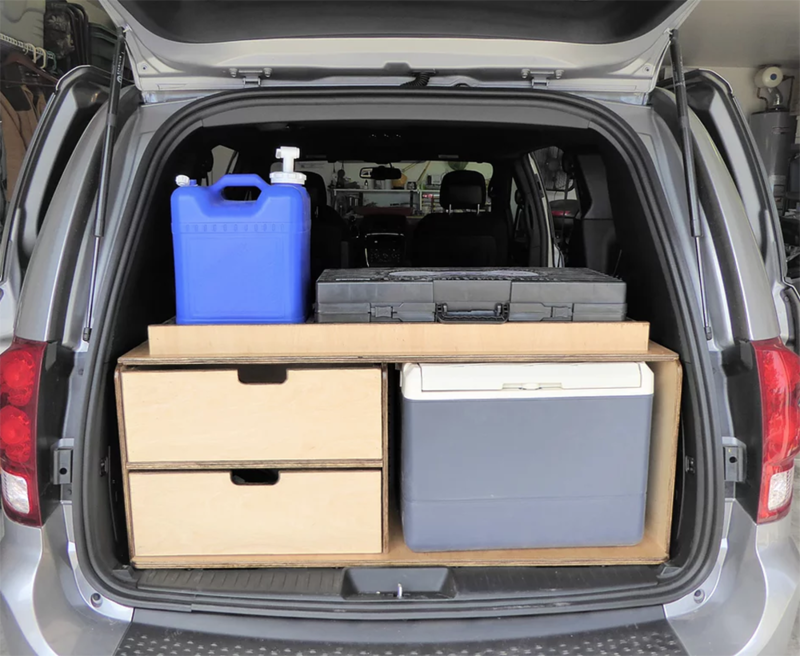 The minivans with Stow-N-Go options or inset cargo spaces have a quick kitchen galley and bed platform option from GoneCamper. This design by Randy Reek was originally created for a Dodge Caravan but can be used in the Chrysler Town & Country minivan as well. The package is made with solid core birch plywood that has been sanded and varnished. 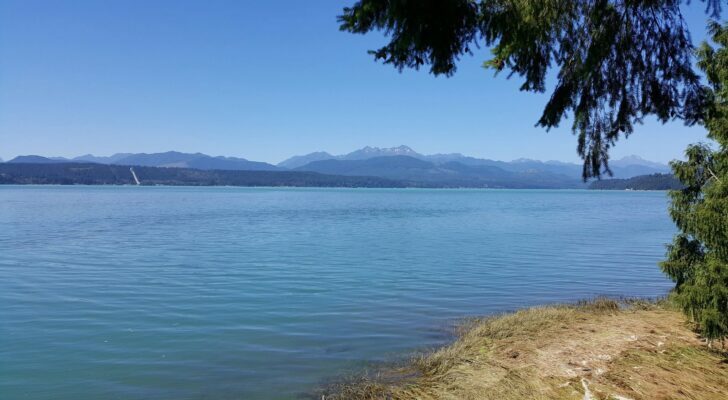 The system is designed to fit a five-gallon water container, two burner butane/propane stoves, and an average-sized ice chest. 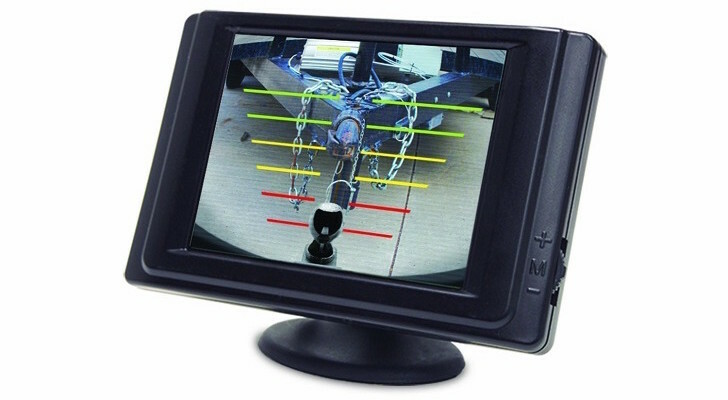 The GoneCamper design doesn’t block the rear view mirror and can be removed easily from the van. The bed platform is divided into two sections. The rear section is against the kitchen and is raised up to fit a folding toilet, camp chairs, and folding table. The front section includes several legs that hold up the folding mattress and can still store plastic boxes for clothes underneath. In addition, the bed is sized to fit standard-sized sheets and pillows. 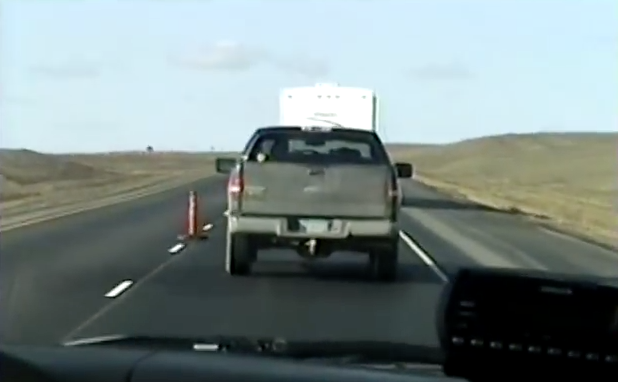 Converting a minivan into a usable camper doesn’t need to cost an arm and a leg. Tamara and Chris of Nomads with a Van converted a Kia Sedona (named Red Delicious) into a sport-centered camper with very little building knowledge. 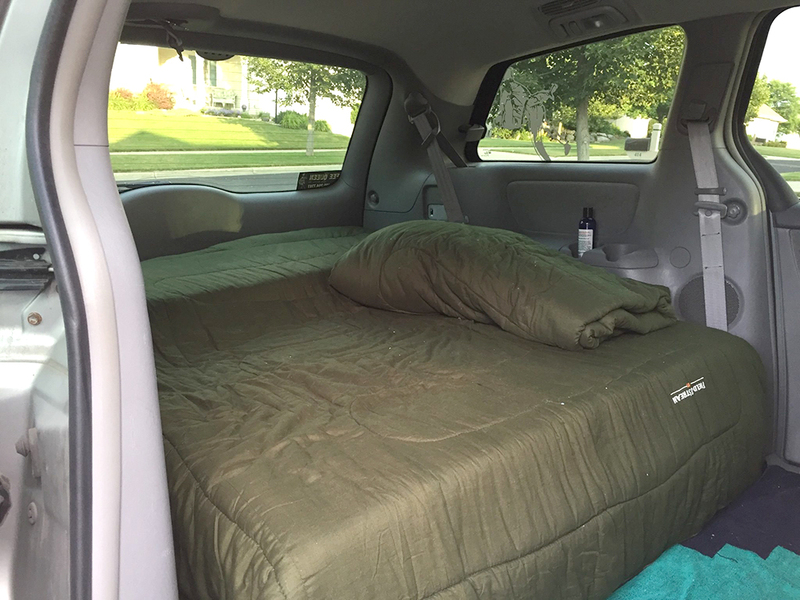 The minivan includes a full-size bed that is just some memory foam and egg crate topper. The kitchen and storage area is made with a few dairy crates, zip ties, and elastic cords. The handmade privacy curtains are made with felt and attached to the walls with safety pins. In total, the couple spent less than $700 for their conversion—including the hitch and Thule bike rack. Flickr user MontyOllie has kept this Dodge Caravan conversion super simple. There were no building skills needed for this conversion. 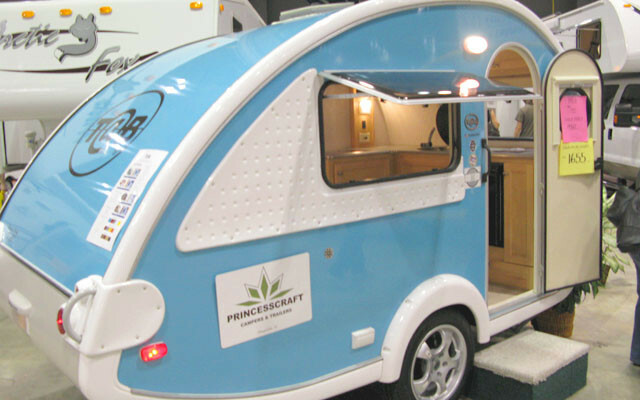 It includes a simple camping cot attached to the floor’s fitted carpet with zip ties and some space for a portable toilet and some camping gear.